Do Back Support Belts Really Help Prevent Injuries? Many people work in professions that require them to lift heavy objects on a regular basis. Baggage handlers and construction workers, for instance, are increasingly working with the help of a back support belt in the belief that using it can reduce the likelihood of a back injury. In fact, many companies require it of their workers so as to reduce the number of days spent out of work recovering from an injury. But are back support belts really effective? The experts are skeptical. Reducing the number of back injuries is an important goal. Almost 20% of all illnesses and injuries in the workplace are due to an injury to the back. 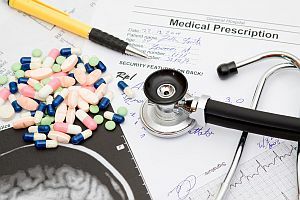 The cost of treating these injuries is estimated at between 20 and 50 billion dollars each year. The National Institute for Occupational Safety and Health (NIOSH), a branch of the Centers for Disease Control and Prevention (CDC) that is responsible for workplace safety, has researched the subject extensively by examining the available scientific literature on the effectiveness of back belts. Based on their staff’s research and analysis, NIOSH believes that companies should favor instituting sound ergonomic programs as opposed to the use of back belts for preventing injury. Back belts (also referred to as abdominal belts or back supports) are being purchased in greater numbers than ever. However, after examining the evidence, NIOSH found there was no support for the claim that the use of back belts prevents back injuries in those who have never suffered a back injury. In fact, in many cases it may promote injuries to the back. Dr. Chad Henriksen, a chiropractor specializing in issues related to health in the workplace, feels that support belts can weaken the back. “Too often, employees will wear the back support throughout an entire eight-hour workday,” Henriksen says, “and in that situation, I think we’re getting some de-conditioning of the muscles in the lumbar spine which sets them up for back troubles later on.” Regular use of support belts also raises blood pressure, which can be an issue for those with hypertension. 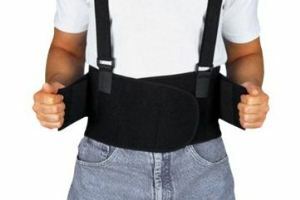 Unless you have suffered a back injury that requires the use of a back support belt for rehabilitation, it is better to avoid them and instead learn the proper techniques for lifting heavy objects. You can also employ the use of hand trucks, chutes, slides and hoists to help take a greater part of the load off your back.